Parts Set for the original Mercury 33 inch span Tiger Moth. 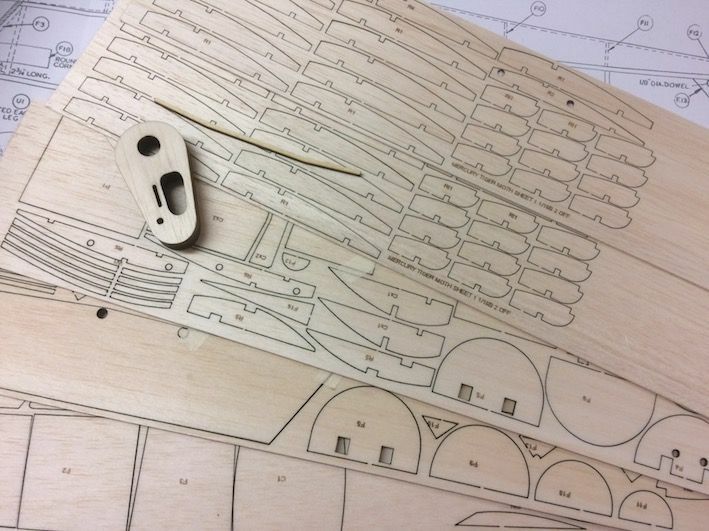 Packed with inrtcially cut parts, this set will svae you hours of tedious cutting and includeds: fuselage sides, formers, bulkheads, wing ribs, riblets, centre tank ribs, tip shapes for wings, tail and fin, upgraded plywood dihedral brace, block cowl, shaped gussets. 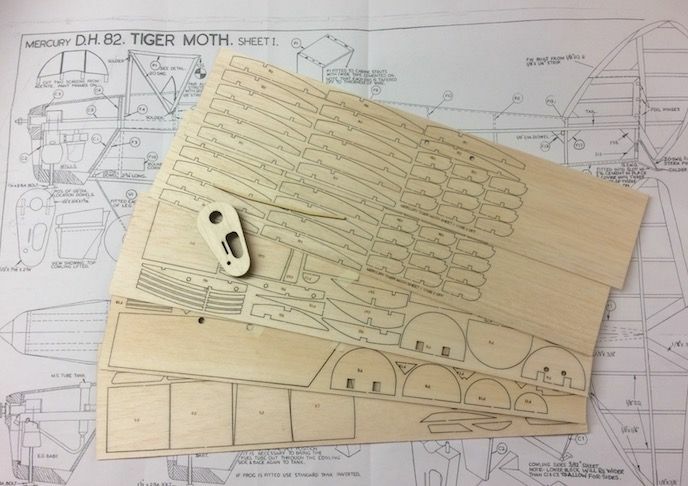 Using the original plan drawn by Phil Smith, the parts set faithfully replicates the original kit contents of the printed wood sheets. Genuine Plan available as an option below, but please remember these parts only fit the original plan from Phil Smith. Builder to add their own stripwood, wire and covering.